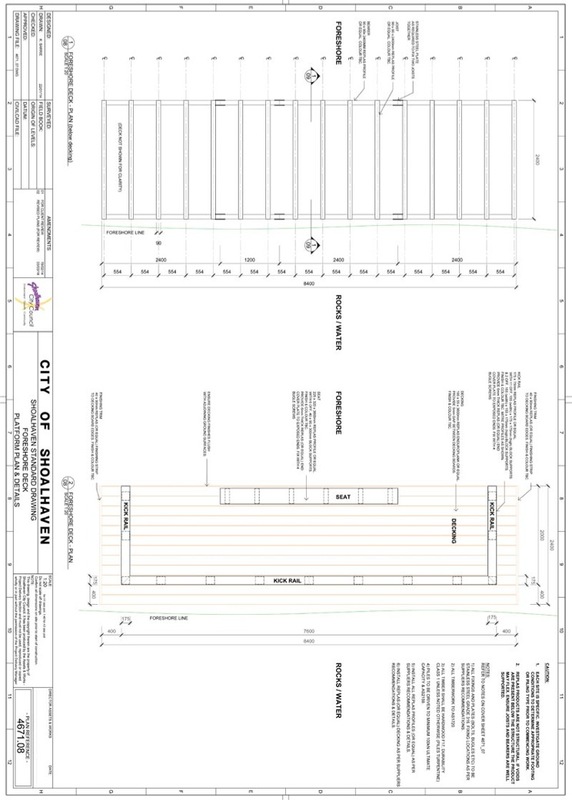 · The ‘Concept Plan’ has been redesigned in accordance to community consultation comments, see attached plan. 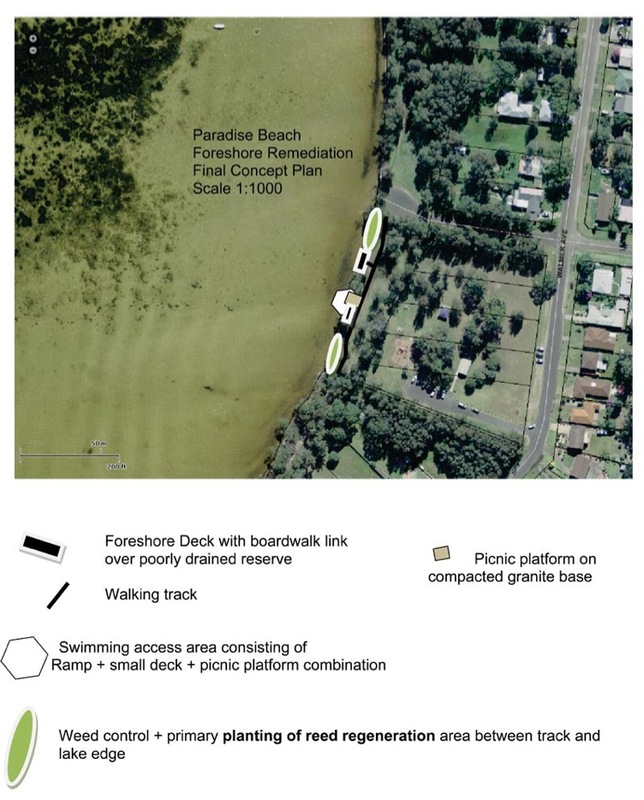 · The foreshore deck and canoe ramp design are nearing completion, see attached design. · We will repeat the consultation meeting in the near future to keep community informed. · We are close to sending out the project for construction quotations.